We say that because we treat our patients like family. Chiropractic care is essential for a healthy lifestyle. Our patients have had success utilizing chiropractic care in their lives to address things like chronic pain, injuries, carpal tunnel, headaches, lower back pain, neck pain, prenatal chiropractic care, pediatric chiropractic care, wellness care, stress and anxiety reduction, tennis elbow, chest and shoulder pain, and so much more. Look over our relief finder for more information on how chiropractic care can make a difference in your health condition! Chiropractic care is special and unique. There are very few health care channels that recognize that your body is built to heal, and that vitality should be a part of life, not just the absence of disease. Our procedures are scientifically founded. They are also very patient focused, and our philosophy recognizes that the potential for healing is amazing. Our office is special. We genuinely love taking care of our community of patients. We see it as a gift and a privilege to serve, and we like people, a lot! Your new patient appointment will begin with a warm welcome and a tour of our office. We will follow that up with an examination tailored to your body’s needs. The best time to take action to improve your health is today. Whether your condition is chronic or acute, whether it is causing tremendous life pausing pain, or something subtle in the back of your mind, let me encourage you to seize the day. Seize this day. Consider choosing a care team that wants you to live your best life, a care team that is dedicated to the best business practices. Also consider a care team that has received numerous awards and that has been contributing to your community for over ten years. Consider choosing chiropractic because we can appreciate that ‘okay’ isn’t good enough. We are here for you, and we can’t wait to meet you! Dr. Amanda Owens, Dr. Jen Isringhausen, and Dr. James Zielinski welcome you to Tiger Family Chiropractic and Wellness Center in Columbia, Missouri. 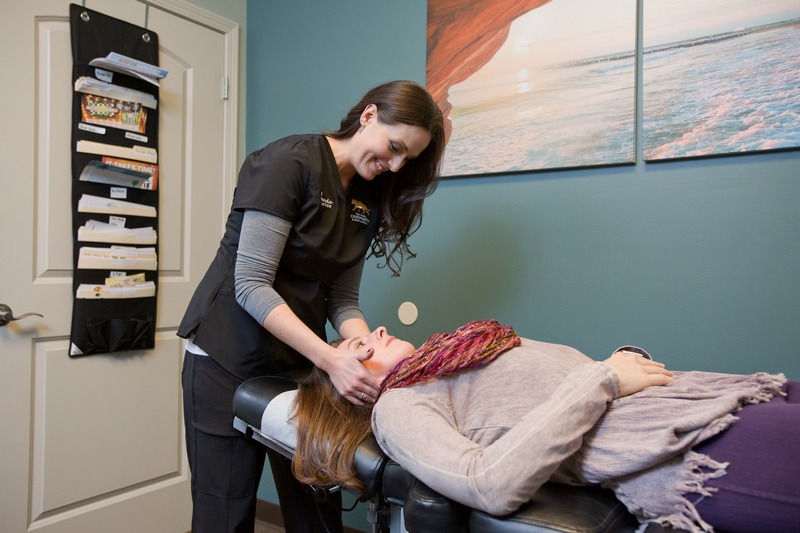 Winner of numerous awards in Columbia, Missouri, including Best of Columbia, and Best of Mid-Missouri, Tiger Family Chiropractic is dedicated to making your chiropractic experience great. We want to be your complete health and wellness provider in Columbia and vicinity. We invite you to make an appointment with our team! Be sure to stop by for our frequent special events, take a tour of our office or enjoy a complimentary cup of coffee!